Society has come a long way since the days of operators or even landlines, those “dark ages” when people could not make or receive calls on the go. Virtual phone numbers are a new wave in communication that is already starting to replace traditional phone systems in the business sector. When you hear the term “virtual phone number” it might seem a bit confusing. The word “virtual” might make you wonder how and where the phone number exists, or if it is even a real phone number in the first place. However, as complicated as this term might appear to be at first glance, a virtual phone number actually works rather simply, and it can be extremely beneficial for those who use one. Using a virtual phone number allows users to receive calls from anywhere in the world, just like when you are receiving calls using a traditional phone number, and they are just as easy to set up and use. However, although virtual phone numbers may seem to share some qualities with traditional phone numbers, they come with many distinct advantages that typical phone numbers do not offer. Many people, from business owners to wanderlust travellers, use virtual phone numbers to save money, work remotely, and communicate with others around the world in ways that would otherwise be impossible or too costly using a landline phone system. Virtual phone numbers are convenient, safe, and inexpensive, making them a good solution to many communication problems and the perfect communication tool for businesses and individuals alike. If you want to reap the numerous advantages that come with virtual phone numbers and communicate with others more efficiently, you should look into purchasing a virtual phone number. This article will serve as a guide to provide you with all of the information you need to know about virtual phone numbers, the many benefits that come from having them, and how they can be used to help businesses, travellers, marketers, and other individuals address their unique needs. A virtual phone number, also known as a Direct Inward Dialing (DID) number, is a number that exists without a physical tie to any one device or phone line. This number allows its users to redirect and route calls from one specific phone number to another number, IP address, or device. Typically, cell phones require cell towers on land to boost the signal and reception. Each of these cell towers is in a fixed location that provides coverage on a specific cellular network. With traditional phone numbers, someone who places a call to that phone number will reach the recipient on the device assigned to that phone number. If that person is away from the designated device, there is no way to reach them, and the device is linked to a certain area code and location. With a virtual phone number, on the other hand, users do not require access to a cell tower or a specific device in order to make or receive calls. Instead of relying on a certain location, virtual phone numbers use the Internet to make and receive calls, allowing people with virtual phone numbers to communicate using any device or devices with an Internet connection, be it a cell phone to a computer. The device that a virtual phone number is routed to can be changed in real time, which provides unique advantages to those who use virtual phone numbers for professional or personal use. When a person calls a virtual phone number, the calling experience on his end will seem exactly the same as it does when he is placing a call to a traditional phone number. However, there are more steps to the process that go undetected. When the call comes through a recipient’s virtual phone number, it is actually routed to a designated device or multiple devices when needed. These devices can be changed, and they do not need to be in a specific area. As a result, a call to a virtual phone number will arrive to someone at their office in the morning. The same number can go to their mobile phone after work hours. There are several differences between using a traditional phone number and a virtual phone number. The steps it takes for a placed call to reach its target recipient with a virtual phone number and its cloud-based system make virtual phone numbers unique and allow them to function outside of a specific physical location. These numbers are reliant on the Internet, and virtual phone numbers use cloud computing and VoIP in order to work. Virtual phone numbers are able to function well thanks to cloud computing. 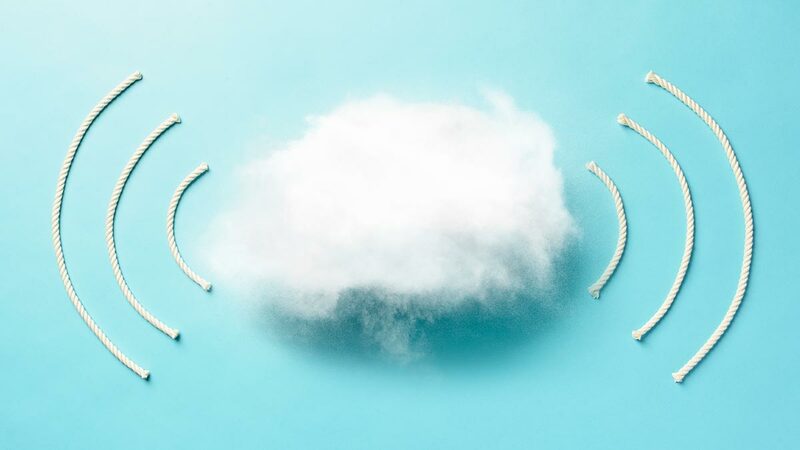 With cloud computing, organizations are better able to access and use resources because these resources are located on remote servers and databases on the Internet. Instead of using local storage options, where information and resources are stored on a physical server located in the same office, building, or home as its users, cloud computing allows users to store, retrieve, and share information from any Internet-capable device. Information stored on the cloud can be sent and received because the cloud uses a worldwide network of data centres, drastically increasing the speed at which data can be shared and improving accessibility. Using this network eliminates the need for businesses and individuals to invest in physical servers and hardware, which is cost-effective. VoIP, or Voice over Internet Protocol, is technology that allows calls to be made using the Internet instead of a physical phone line. With VoIP, regular analog audio signals are converted into signals that can be transmitted through the Internet. These signals can be transmitted from a phone, computer, or any other device that can access the Internet. Virtual phone numbers use cloud computing and cloud-based systems like VoIP in order to use the Internet as a medium for phone calls. This way, instead of phone numbers being linked to physical phone lines, your phone number will be pointed to a device or IP address or VoIP system of your choosing, making virtual phone numbers efficient and affordable. A person or company with a virtual phone number can set that number to route to any device with Internet access, or more than one device if necessary, even if that device is in a different location. In addition to an existing phone line, these calls can also be sent to an app, a VoIP, or even a voicemail box. Virtual phone numbers function similarly to call-forwarding in that the call is sent to a predetermined location that is not dependent on the area code of the virtual phone number. Using virtual phone numbers for your business can help you expand your reach, increase your profitability, and improve your company’s reliability without breaking the bank. Because virtual phone numbers are not tied to a specific physical location, you can use them to give your company a local presence. 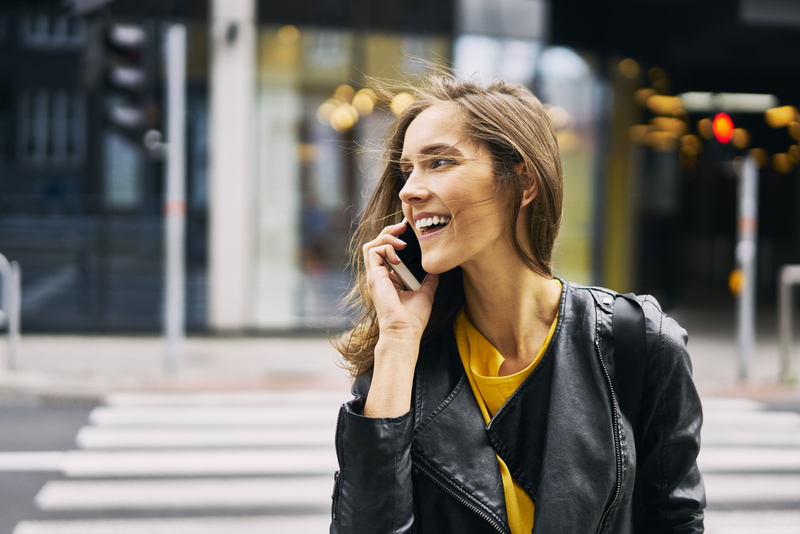 Consumers are four times more likely to answer calls from a local number than a toll-free number, which can help your business reach more potential customers. With a virtual phone number, your phone calls will appear as local calls for all of your recipients, which will help you reach customers who are not in close proximity to where your company is based. Virtual phone numbers can also open many opportunities for businesses because they allow customers to avoid long distance fees when calling, regardless of where the company’s offices are located. A business located in California can obtain a virtual phone number with the area code of a different state so that when people from that state place a call, they are transferred to a device in California–even though it is in an entirely different location. Virtual phone numbers and VoIP can reduce or even eliminate your organization’s need for a costly hardware for a phone system. Helping your business and your clients save money will only benefit your company. By purchasing various virtual phone numbers for the different countries where their clients reside, businesses can keep their international customers satisfied and help make communication affordable. In addition to establishing a local presence, using virtual phone systems can help customers get in contact with the right people at any time. Every employee will have their own extension that connects to their own device, which will make it easier for clients to get in touch with their desired contact. Companies can route these numbers to any location they want and they can assign more than one number to a single phone line, which will help guarantee that customers always connect with the department or individual they need to reach, regardless of the company’s office location or even the time of day. These virtual phone numbers can be routed to a cell phone or other internet-capable device when an employee is out of the office and can help businesses make sure that they are not neglecting any calls. 85% of people will not call back if their call is unanswered. Companies can prevent themselves from losing business and developing an unfavourable reputation by using virtual phone numbers to ensure that they never miss a call. 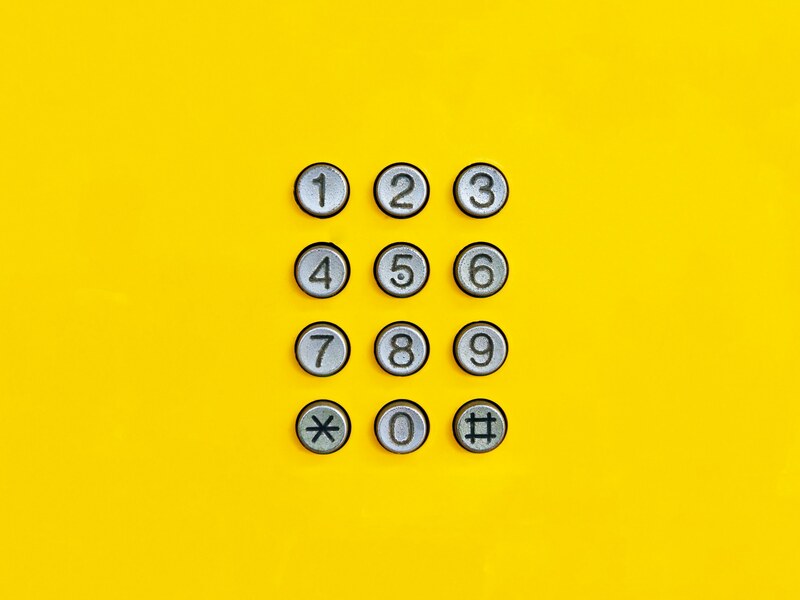 Because different numbers are assigned to different locations, virtual phone numbers also help customer service representatives or other team members know where a person is calling from before they pick up the phone, increasing their ability to serve their clients and help address their customers’ concerns. This will help build the company’s trustworthiness, authenticity, and credibility, leading to more sales. This will also help companies with multiple offices or with employees who work remotely. Rather than listing an employee’s personal number, a company can allow calls to be redirected to any device they choose. If a customer needs an answer or service that can only be supplied by an employee who is on a business trip abroad or a team in a remote location, they will have no problem making the connection they need. This is a good way to keep employees connected even if they work from home or in a location that is far away. Virtual phone numbers are significantly cheaper than expensive hardware and traditional phone systems; they offer greater accessibility and convenience for customers. Business owners who are serious about growth and customer satisfaction should consider investing in virtual phone numbers for their company. Virtual phone numbers can help marketing teams keep track of which marketing channels and strategies are proving the most advantageous to their company. Companies can assign a different virtual phone number to each channel that they use for their marketing–from social media accounts to online advertisements. When companies use A/B testing to find out how a certain change or a specific aspect of their website or advertising influences their customers, they can use virtual phone numbers to decide which changes they should make and which ones they should no longer implement. Additionally, when they check their phone reports, they can see how many calls were made to each number, allowing them to make data-driven decisions about their marketing campaigns. If a certain number was called a lot less often than others, it is a strong indicator that the marketing team needs to reevaluate that marketing channel. Virtual phone numbers provide invaluable data to companies and their marketing teams, and they can help organizations receive a higher return on investment (ROI) with their marketing strategies. Companies with call centres will benefit from using virtual phone numbers. Call centres have to receive a large volume of phone calls, and a virtual phone number can route all of the calls for a single number to multiple computers within a call centre. This will help the employees handle the influx of calls they might receive and help keep calls organized. With this system, if one employee is already on a call, it does not mean that another customer’s call will be missed. The call can be answered on any of the multiple computers that are predetermined to receive calls from that virtual phone number. With a virtual phone number, a call centre will not have to worry about their site hindering business. Even if they are based in a different country than the majority of their callers or the potential customers they need to call, the calls can be considered local depending on the virtual phone number. Because call centres handle a lot of traffic, it is important that they offer multilingual options for their callers. 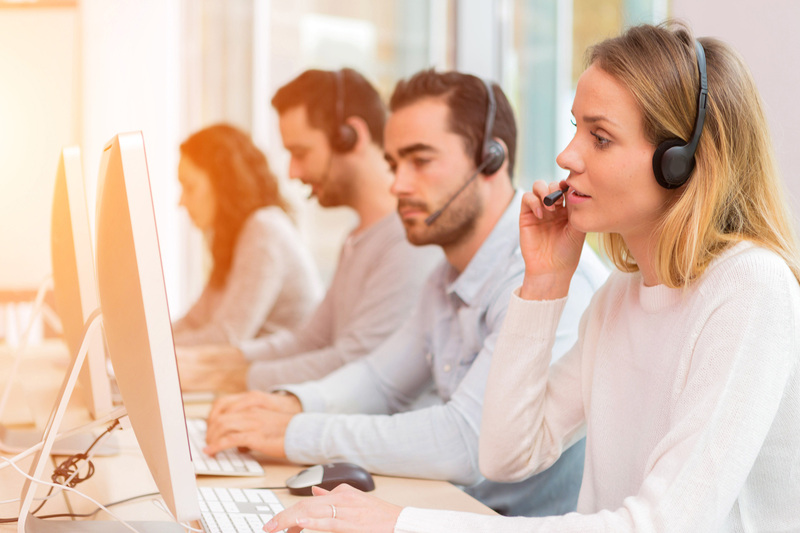 Call centres can set up multilingual options using virtual phone numbers to increase customer satisfaction and make sure that they are able to serve all of their clients. Those callers who would like to speak to someone or hear options in a different language can have their calls routed to a different employee, automated response program, or call centre. A household can use virtual phone numbers to drop its landlines while still allowing for a single “family” line. With a virtual phone number, individual members of a family can have their own extensions on the same line. This way if someone calls that family’s phone number, their call can be redirected to the cell phone belonging to the recipient they are trying to contact. Instead of leaving a message for one member of a family on an answering machine they may or may not even check, callers can get in touch with their intended recipient directly through a virtual phone number. Virtual phone numbers can also be helpful for personal situations where you would rather not give out your personal phone number. People who list items on Craigslist or other online classifieds or those who need to share their number with an Internet date or someone on a dating app can share a virtual number instead of their real number. Some popular dating sites, including eHarmony, even assign virtual phone numbers to their members to help facilitate conversation between matches. Virtual phone numbers are great for personal use because they allow users to mask their location and stay safe while still allowing for easy access through their personal devices. It is still convenient to make and receive phone calls using a virtual phone number, but there is an added layer of protection because other people can only see the virtual phone number instead of your actual number. These numbers are beneficial for anyone who wants to have more control over who can see and use their phone number. This can help people protect their information and stay safe in potentially risky situations. It is easy for any person to simply purchase a new virtual phone number if they start to feel unsafe or uncomfortable about continuing to use a number they have shared with someone online or in person. Changing a virtual phone number is simple and it comes without the hassle that obtaining a new personal phone number can bring. Individuals can also benefit from virtual phone numbers because they are cost-effective. With a virtual phone number, you can save money when receiving calls from friends and family members that live far away. Imagine someone calling you from thousands of miles away, but the call is still considered local. This is one of the many perks of using a virtual phone number. People can avoid paying long distance fees when they are trying to keep in touch with people across the globe because these numbers are not assigned to any specific location, and they can receive calls without worrying that their loved ones are paying hefty fees either. Many people do not know just how important it is to keep their phone number protected. As a result, they give their phone number to others or put it online without thinking of the potential consequences. However, what these people do not realize is that all a hacker needs to take over your mobile accounts and bypass your two-factor authentication is your phone number and your name. With this information, they can port your number to a different mobile phone or device and access your personal information and accounts without you even realizing that your phone was hacked. Any password protected accounts that require you to enter a code you receive by text can be compromised because the hacker has taken over the mobile account. Mobile hijacking has continued to increase in the last few years with hundreds of thousands of people being affected each year. In 2017, 6.5% of the population was victim of identity fraud, and this number is only rising. 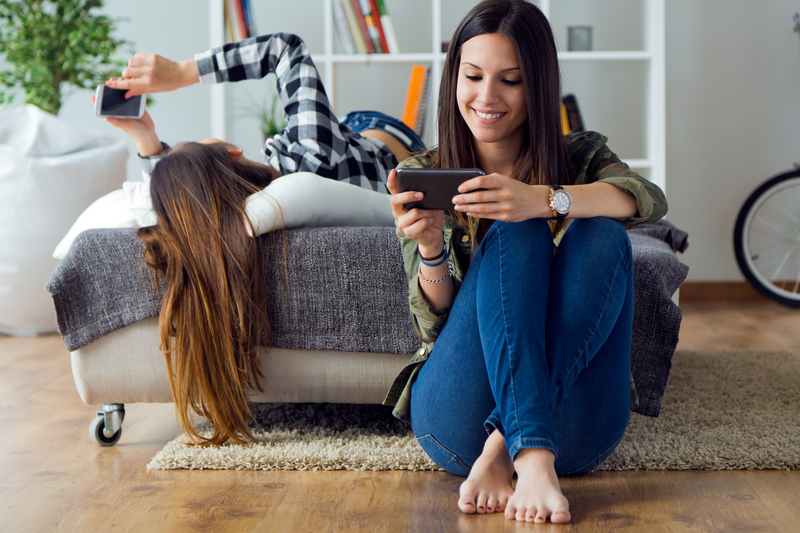 Your phone contains sensitive information, from private emails to social media accounts to bank account information, so it is vital that you keep your phone number out of the wrong hands. One way to protect your phone number is to use a virtual phone number when you need to enter information online. Using a virtual phone number can help you maintain privacy in any situation where you do not want to give out your personal phone number, but you still need to be reachable. Even though people who call your virtual phone number will be able to reach you on your cell phone or designated device, they can only see your virtual phone number. This will help keep your personal phone number hidden from people who might have malicious intentions. With the rise of mobile hijacking attempts, it is more important now than ever for you to protect your phone number the same way you would protect any other sensitive information. You would not willingly share your social security number online, so why would you share your personal phone number? When your phone number is requested online or in any capacity where you are not fully confident that it will be safe, providing a virtual phone number instead of your actual phone number will help keep your mobile accounts safe. If you travel often or you have an upcoming trip out of the country, you should use a virtual phone number to keep communication costs low. Whether you are going to be travelling for a business trip or just for a vacation, you are going to need a way to make and receive calls while you are on your trip. From family members back home to your Airbnb host, there are many people you will need to reach while you are away. 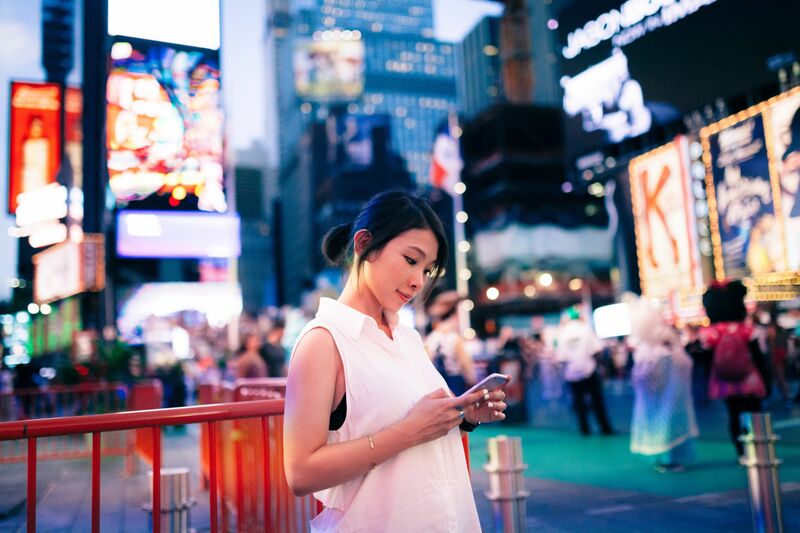 A virtual phone number is an inexpensive way to stay connected with others and protect your privacy when you travel internationally. With one of these numbers, you never have to reveal your personal phone number to anyone while you are in an unfamiliar place. These numbers allow travellers to make and receive calls while they are abroad without sharing their personal number or spending too much money. Because virtual phone numbers are borderless, you do not have to worry about racking up astronomical international roaming fees when you use your smartphone overseas. Your cell phone company will charge you a fee anytime you use data outside of your cell phone coverage or network, even if you are unaware that you are being covered by a different network. For instance, if you are covered by a certain network, but a nearby network is stronger, you will have to pay for the coverage you received from the other network. These fees can be anywhere from hundreds to thousands of dollars depending on how much data you use. If you stick with your service provider while you travel, you may be stuck with a sizable bill when you return home. One of the best ways to save money on your vacation or business trip and to make sure that you are not accruing any international roaming fees is to use a virtual phone number. With a virtual phone number, people who call you from outside of the country are able to avoid paying long distance fees, and you can divert your incoming calls to your virtual phone number so that you do not have to worry about any roaming fees or additional charges. These numbers can be purchased easily and they are far less expensive than many international data plans and roaming fees. A virtual phone number is a convenient and affordable way to stay in touch with others and use your smartphone when you travel. When it comes to purchasing a virtual phone number for your travelling needs, BNESIM has you covered. When you buy any of our international data SIM cards, their global Wi-Fi hotspot, or the Oukitel K10000 Pro BNESIM smartphone, you will receive a free virtual, international roaming free phone number. You will also have the opportunity to add more numbers if needed, so you can have as many virtual phone numbers as you deem necessary for your trip. Travellers can choose from several different, reasonably priced plans at BNESIM.com to find the one that will best suit their own personal needs. They can rest easy knowing that they will have at least one virtual phone number that they can use to communicate with the ones who matter most while they are overseas or out of the country. BNESIM’s reliability and cost-effectiveness are unmatched and a major reason why BNESIM was nominated as the World’s Leading Travel Communication Provider in the World Travel Awards 2018. Trust BNESIM to provide you with your virtual phone numbers and help you stay accessible when you travel. For more information about how you can receive a virtual phone number through BNESIM, explore our website. Using a BNESIM international data SIM card is the best way to keep in touch with friends, family members, and colleagues when you travel abroad because these cards offer great coverage at a fraction of the price of cell phone service providers. BNESIM can help travellers save up to 95% on calls and data when they travel out of the country. Not to mention, these cards have other upsides including free high-speed Internet and a pay-as-you-go platform with a credit allowance that will never expire. With plans starting as low as 9 euros, BNESIM is one of the best communication tools for travellers looking to travel on a budget. 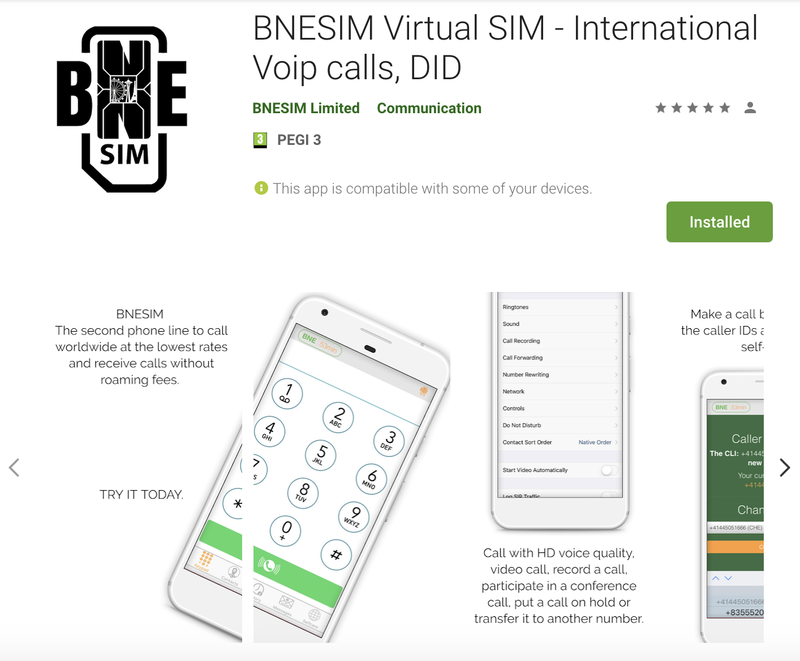 BNESIM also offers an intuitive app that can help you use your new virtual phone number with ease. Available for Apple and Android, this app allows you to add and activate unlimited lines from any country, make calls using different caller IDs, and make high-quality worldwide outgoing calls at reasonable rates. Using the app, you can also keep track of your data allowance as you travel abroad and add more credits if needed. The BNESIM app will help you manage your virtual phone number when you are travelling to different countries, helping you stay in communication with your loved ones while you are away.